Caring for bonsai trees is not as difficult as most people may think. Yes, they can be a little delicate and sensitive, but once you understand what they need and become familiar with your particular plants, it will soon be second nature. Improper watering is the number one way to destroy your bonsai. Both under and over watering can cause damage, so it is important that you learn how to recognize your tree's perfect balance between soil, water, and air. How much water your bonsai needs will depend on a number of factors including humidity, weather conditions, type of soil, size of pot, size of plant, and species. Do a little research and find out what each type of tree prefers so you know where to begin. Generally, you will want to water your tree when the soil becomes slightly dry. If the soil is still quite wet, then leave it alone, but you do not want to wait until the plant dries out completely. A good way to tell is to insert your finger about 1/2 inch below the surface. If the soil feels only slightly damp, then it is time to water. However, if it feels wet, then you should wait another day and then re-check. Resist the urge to water on a schedule. Your bonsai is very sensitive to environmental conditions and is planted in a container that allows for good drainage and aeration. As a result, watering frequency may vary. Also, every plant is different, so you need to carefully observe your tree and get to know when it is “thirsty”. When you do water your bonsai, remember to do it thoroughly. You are not just refreshing the leaves or wetting the surface, but the entire root system must be watered. Typically, you should continue watering until water runs out the drainage holes. Some people even suggest that you come back in five or ten minutes and re-water. Use a gentle hose or slow flowing watering can, as too much pressure can wash the soil away or cause damage to your plant. Most trees in nature will stretch their roots to find the nutrients they need; however, bonsai are placed in very small pots that offer shallow root growth. 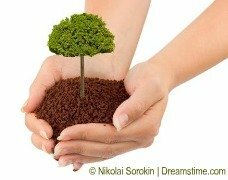 Therefore, it is important to fertilize your tree to give it all the nutrition it needs to grow and stay healthy. The ideal ratio will depend on the type of tree, the time of year, and climatic conditions. Using a special bonsai fertilizer will ensure that you have the right mix, however, any type of plant fertilizer will work as long as you follow the product directions carefully and make sure the ingredients are appropriate for your specific tree. Generally, bonsai should be fertilized every 2-4 weeks during the growing season, usually from early spring to mid-autumn. Indoor trees may be fertilized all year round, but again, this will depend on the type of plant. A mature tree that is no longer in training may need to be fertilized less since you are not trying to encourage rapid growth. A dormant bonsai will also require less nutrition. It is important that you do not under or overfeed a plant. Again, as you become familiar with your particular tree, you will begin to know how much and how often it needs to eat. Tip: Don't feed a dry bonsai – always water your plant first! Re-potting is a very important part of bonsai care. It prevents your plant from becoming root bound, which essentially will cause malnutrition. It provides the roots with extra space to soak up nutrients and stay healthy, and allows you to give your tree an infusion of fresh soil. How often re-potting is necessary will depend on the type of tree, the size of the container, and the speed of growth. Young, or fast growing trees will typically need replanting about every two or three years; whereas, older or more mature trees may be able to wait up to five years before needing new living quarters. You can check your bonsai every spring by carefully removing it from the pot and looking at the condition of the roots. If they are still surrounded by soil and seem to have plenty of room, then re-potting is not necessary. If, however, the roots circle around and appear compacted, then it is time for a larger container. Replanting should only be done in the early spring as this will minimize damage to the root system and give your plant a chance to recover before it enters the growing season. Re-potting is a delicate process and must be done with care. Lift the tree from the old pot. Remove excess soil, and use a root hook to untangle any knots or balls. Prune long roots and remove any rotting roots. Line the new container with drainage mesh and fill part way with an appropriate soil mixture. Place your bonsai into the new pot. Fill with more soil, and then water thoroughly. This will allow the soil to settle and remove any air pockets. Do not fertilize a re-potted bonsai for at least 3-4 weeks after replanting. The environmental conditions of your bonsai tree are vital to its health and growth. The best location for your plant will depend on the species, the climate, and the time of year. Therefore, it is very important to know what type of tree you have and what conditions it prefers in order to grow and flourish. Typically, indoor bonsai like a warm environment with a constant temperature. However, some prefer bright sunlight while others do better with partial shade. Outdoor bonsai are usually a little more resilient and can handle temperature changes better than indoor varieties. Again, the species will determine your exact location, but most like to be in a place where they can receive direct sunlight for part of the day while still being protected from harsh elements such as wind or driving rain. Proper bonsai care can help reduce the risk of harmful infections or insect infestations. Using drainage mesh on the bottom of your container will prevent pests from entering while also allowing excess water to flow out, thereby preventing root rot. Choosing the right soil mixture can also make a difference. Some soils attract bugs or rodents to the plant, so you may want to avoid these if you have a problem in your area. Of course, over/under watering and over/under fertilizing are both main causes of sickness and disease, so it is important that you very carefully monitor your bonsai to make sure that it has the right balance of both food and water. After any harsh pruning or cutting, use a wound paste to promote healing and prevent infections. If you notice any problems with your bonsai, you can usually treat them with regular insecticides or fungicides. In extreme cases, it may be necessary to remove an infected or damaged branch or root from your tree. During the winter, most trees will enter a period of dormancy. This is a necessary and natural process, so you do not have to bring your outdoor bonsai indoors during these months. The only exception would be if you have a tropical or subtropical tree, as these species cannot handle the colder temperatures. Since bonsai are planted in shallow containers, the roots can freeze easily, therefore it is necessary to protect them throughout the winter. You can put them under a tent or protective structure, wrap covers around the pots, or keep in a partially heated greenhouse, entryway, or garage. It is important that they are not exposed to higher temperatures, as this may lure them out of dormancy. When the weather becomes cold again, it can confuse your tree as well as cause damage to any buds that may have formed. Your bonsai will still need to be watered during the winter months, although it will require less. You will also have to check for bugs, infection, and signs of rodent damage. Trimming and pruning are the main ways bonsai are shaped and kept miniature. Make sure that you use proper tools to minimize damage and scarring, and apply wound paste to help your tree heal faster. Caring for bonsai may seem complicated at first, but once you become familiar with your plant, you will be able to tell what it needs to stay healthy and grow into a beautiful piece of living art!